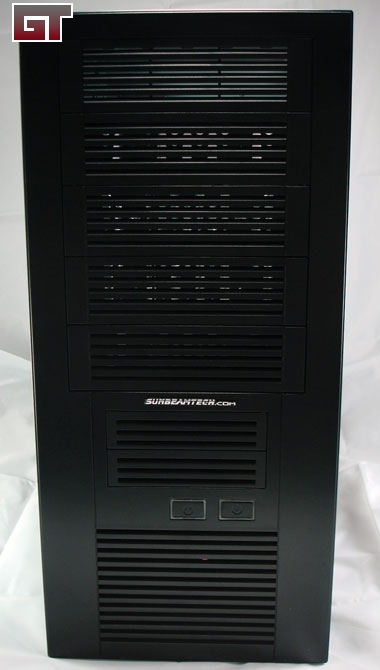 These last few weeks I have been working hard on a couple of Sunbeamtech cases. The first one we are going to take a good look at is the Freezing Storm. 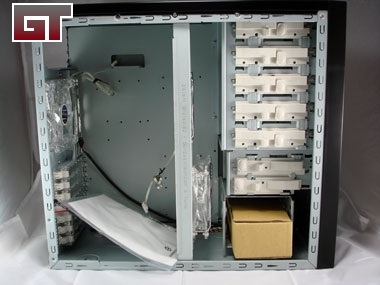 The case comes with numerous 120mm fans, 10 drive bays, and a pre-cut side window with fan vents to manage anything you throw at it. The Freezing Storm comes in two colors, silver and black. Today, we have the black version on our testing station. The front of the case has the air vents from top to bottom of the case, except for a few areas, example is around the power / reset buttons. 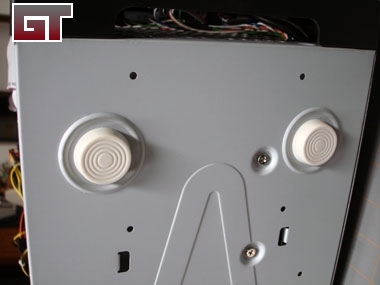 Lower vent holes can have a 120mm fan behind them for added cooling if needed. 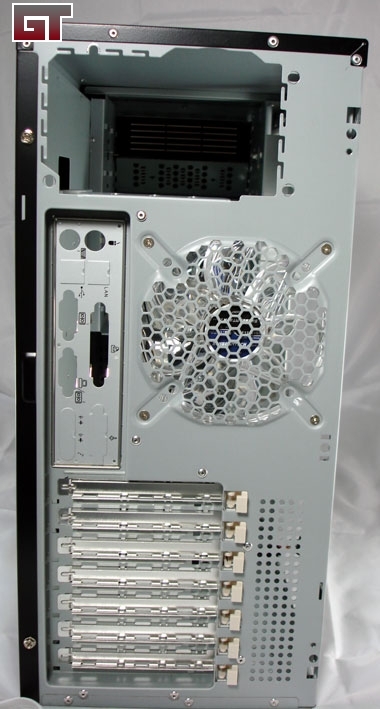 The width of the case is wide enough to handle a 120mm fan above the backplate to exhaust the hot air out. 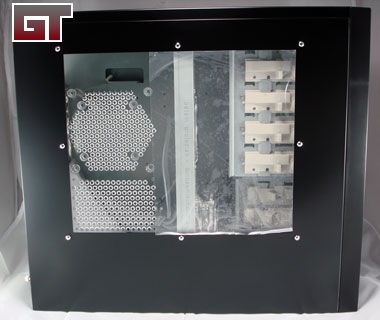 The backplate that comes with the case is a very generic one and will most likey need to be replaced with one that comes with your motherboard. 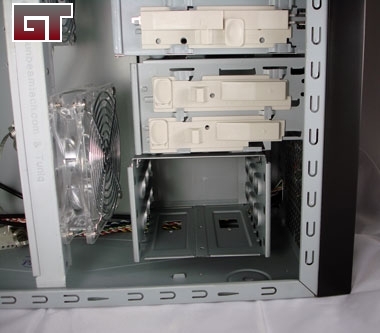 The side of the case has a window with air vents above the video cards and heatsink. 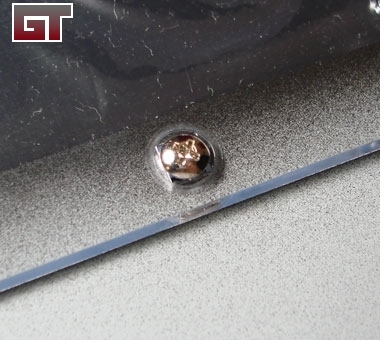 The window does have a spot for a 80mm or 120mm fan, but the sample did not come with one pre-installed here. For shipping protection, there's a piece of plastic covering the window. 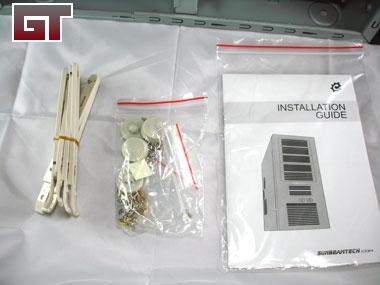 Upon opening the case you'll see a small box of accessories and an instruction manual. 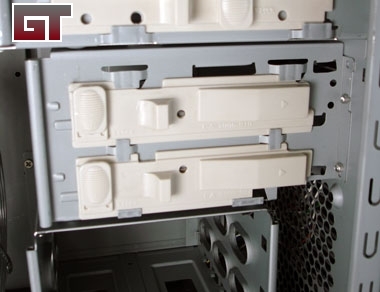 Also first impressions will let you note that you have enough space to fill the case from top to botton with drives. 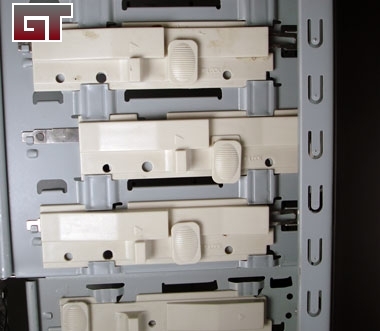 Top seven drive bays have the quick lock devices to hold them in place, while the bottom three can be removed and have rails that lock in place. Below are the contents in the brown box. They include the rails, feet, and misculanous screws. The bottom drive bay has the metal formed to let the rails slide in between the circles. This also lets air pass over the drives. To the right of it you can see where the front 120mm fan can be installed. Just above that you have two 3.5" drive bays. Removeable or floppy drives can be installed here. 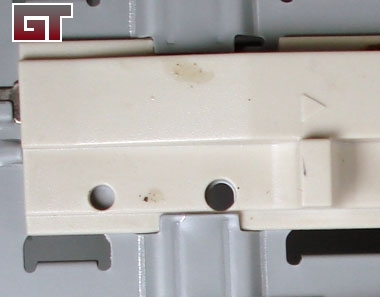 The top bays have the same screwless locks as their counter parts. The only difference is that they can hold full size optical drives. I noticed that on the plastic slides were oil spots. It looks like someone forgot to wipe down the case for packing. The case feet are of the simple generic kind. Although simple, it doesn't look like it'll come off easily. A nice touch that they added to the case was how they attached the window. 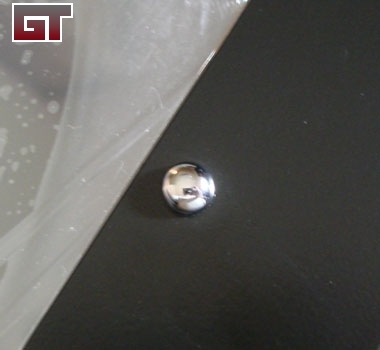 On the outside of the case you have a silver coated plastic nut. Inside you have a phillips head screw holding it in place. They use these instead of the plastic pop rivits.